As an international student in Japan, I have spent around two times here during New Year’s Eve. I think that it was not a bad choice to spend New Year’s Eve in Japan, not in my own country. There are a lot of activities that you can do in Japan during New Year’s Eve. For Japanese children, they usually do some games during the New Year’s Eve, such as Hanetsuki, and etc. So, let’s know more about what Japanese people usually do during New Year’s Eve! You will be able to see the Emperor and his family members at Tokyo Imperial Palace, which is located at Ginza. On 2nd January (at 10:10 am, 11:00 am, 11:50 am, 01:30 pm, 02:20 pm), they usually appear on a veranda, which is protected by glass. 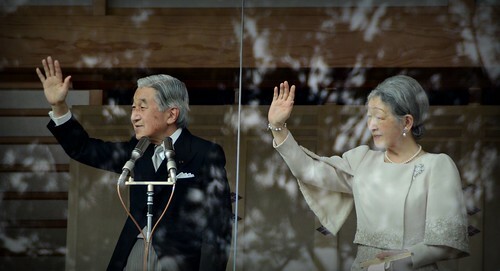 That photo is Emperor Akihito who had a short speech on the veranda of the Imperial Palace at Ginza, Japan. He had a short speech about some wishes for the nation, such as happiness, joy and etc. He also hoped for all the best to the future of Japan. “Hatsumoude” literally means “first time pilgrimage” in Japanese. They usually visit one of the Shinto Shrines in Japan. Not only that, but some of them also prefer to visit Buddhist temple instead. They usually do wishes for this New Year and the future’s ahead. They also buy a “Mamori” or known as “Lucky charms” in Japanese and return the old one that they have bought last year to that shrine or temple. The most interesting time to visit a temple is in the midnight on New Year’s Eve. At that time, the temple or shrines’ bell is rung for many times. New Year’s Eve means to forget all the troubles of the past year, and welcome the arrival of the New Year. 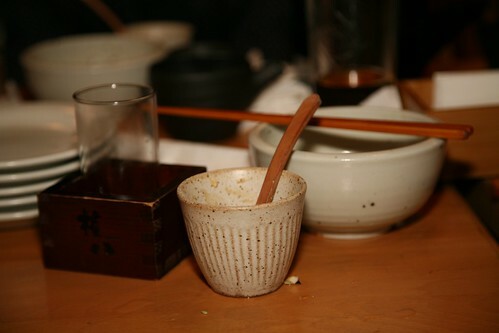 新年会 (“Shinnenkai”) is generally held among co-workers or friends in January. The word 新 (“Shin”) means new, the word 年 (“nen”) means year, and the word 会 (“kai”) means gathering. So, it literally means, “New Year’s gathering” in Japanese. This kind of gathering is to celebrate the New Year with parties. They also promise to do their best for the whole New Year, and wish each other for fortune. Japanese people usually say “Akemashite Omedetou” during this New Year’s Eve. The word “Akemashite” means New Year or new page of life in Japanese, while the word “Omedetou” means congratulations. So, it literally means “Happy New Year” in Japanese. Those are some activities that you can do during New Year’s Eve in Japan. Those kinds of activities are such interesting experiences, besides seeing fireworks during the New Year’s Eve, and don’t forget to say “Akemashite Omedetou”!